Join Team Buckeye! Ride, Donate or Volunteer for Pelotonia, August 2-4, 2019! Founded in 2008, Pelotonia was established with the objective to fund life-saving cancer research. 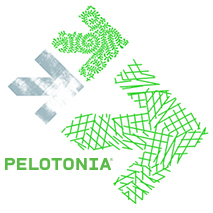 Pelotonia is a three-day experience that includes a weekend of cycling, entertainment, and volunteerism. Through its first ten rides, Pelotonia raised more than $184 million for cancer research at The Ohio State University Comprehensive Cancer Center – James Cancer Hospital and Solove Research Institute. (OSUCCC – James). To participate in Pelotonia, five or more individuals register as a rider, virtual rider or volunteer and join a riding group, called a “peloton." Team Buckeye encompasses all pelotons from across Buckeye Nation and whose members include Ohio State students, faculty, staff and alumni. Pelotonia offers 15 unique ride distances and routes from which to choose. From a 25-mile cruise to a two-day "double century" adventure, riders of all skill levels should be able to find a distance that suits them. Additional details on ride specifics can be found on Pelotonia's "Ride" page. Team Buckeye brings Buckeyes together as one large team focused on creating a cancer-free world. No peloton is closer to the mission of the ride as one hundred percent of the money raised directly benefits Ohio State’s Comprehensive Cancer Center – James Cancer Hospital and Solove Research Institute. It’s a great way to embrace Buckeye pride and be a part of the university’s single largest fundraiser. We ride for people we know who’ve been affected by cancer. We ride for the incredible doctors and researchers who work every day to end cancer. We ride because teamwork and effort is what being a Buckeye is all about. Ask anyone who’s been a part of Pelotonia and they will tell you it is a profoundly inspiring experience. Experience for yourself the pride and connection that comes from being a part of Team Buckeye. Pelotonia has become the single most powerful fundraiser in the history of The Ohio State University. These funds are vital to Ohio State's Comprehensive Cancer Center - James Cancer Hospital and Solove Research Institute (OSUCCC – James) to maintain its advanced research into the prevention, detection, treatment and cure of cancer. Idea grants that allow researchers to pursue the "aha moments," those potentially big ideas that are too early, too new, or too bold to be funded by the government. We make sure inspiration has a chance to become real. Scholarships for students who want to pursue research tied to the singular goal of ending cancer. It all begins with people. Driven, curious, hard-working people. We want to give them a path to success that benefits everyone. Tools for discovery - The latest and greatest equipment to do the research we do everyday. Changing the world requires the best equipment available. We arm our team with the tools they need to be extraordinary. Talent recruitment to bring the best and brightest minds to Ohio State. What's happening here is incredibly exciting, and people want to be a part of it. Pelotonia funding brings expert scientists to Ohio State to make our amazing cancer research team even stronger. Three statewide initiatives that work with community hospitals to promote early detection and better outcomes for patients with colorectal, lung and endometrial (uterine) cancers in Ohio. We are changing the landscape of cancer care statewide. Strategic Research Investments - Large-scale initiatives designed to have a long-term impact in cancer research and patient care, including the Drug Development Institute, Digital Pathology and a Total Cancer Care® protocol. Whether you ride, virtually ride or volunteer, we want your Team Buckeye experience in Pelotonia to be inspiring and successful.